With the development of the electric railway, it afforded people a means to travel places they had never been before and gave people more opportunities for parties and amusement away from home. 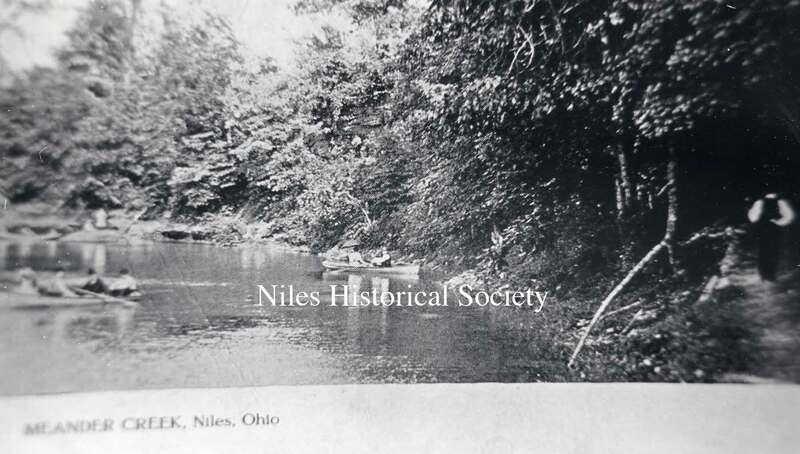 Promoters were quick to plan and construct amusement parks along their interurban lines, usually midway between two towns and frequently along side a charming stream for the pleasures of bathers, boat riders and fishermen. 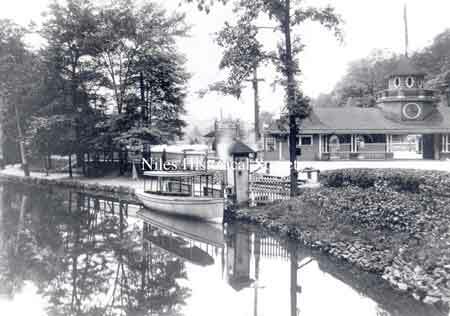 Picnic grounds, base ball diamonds, bleachers and dance pavilions, steam boats and rustic walkways were common features of these parks. 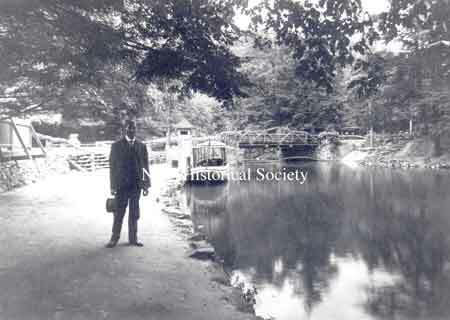 The trolley was an excellent means of getting away from the summer heat of the city and admission was free to those who arrived at the park via the trolley. 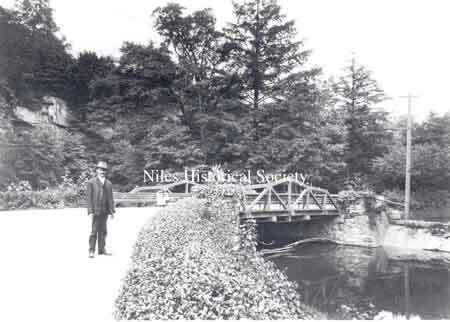 And, after the sun set, the park, with electric lights strung along its rustic paths, and dance pavilions with large verandas, was very romantic and created much excitement for the young people. 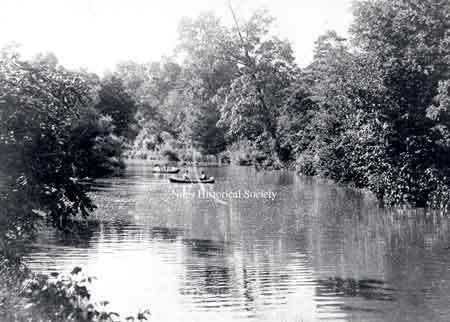 The Riverside Park was opened in Evansville during the summer of 1893. 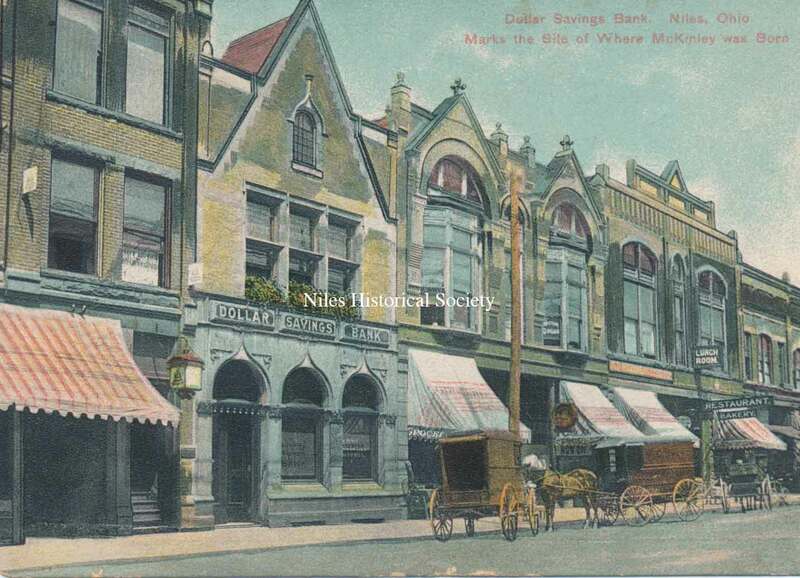 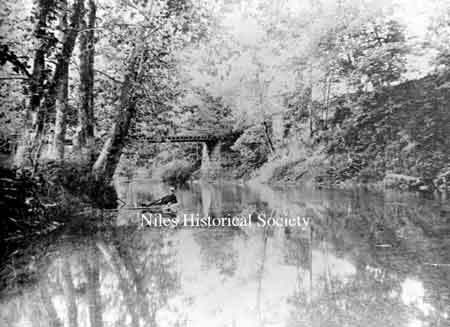 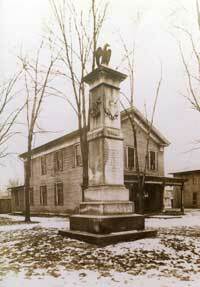 It was located on the southwest corner of Niles, off Route 46, going south toward Mineral Ridge. Turning right on Salt Springs Road at Evansville, the entrance of the Riverside Park was located on the south side of the street, just beyond the railroad tracks and before Meander Creek. 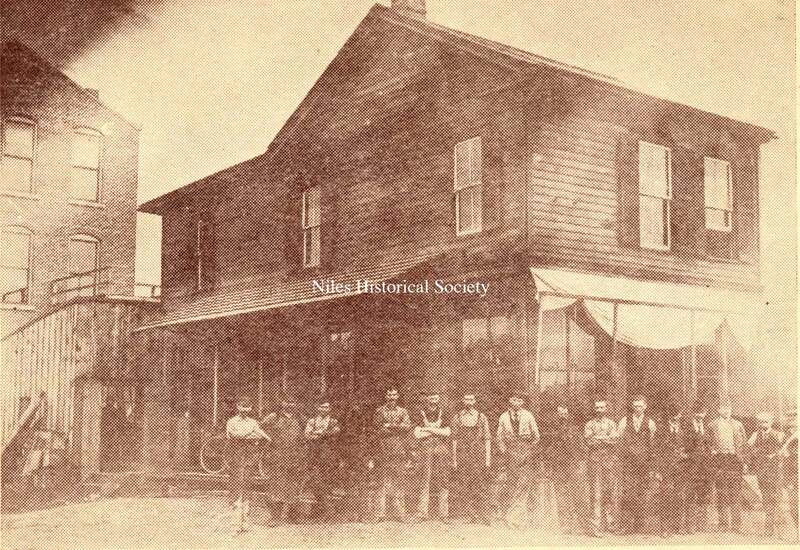 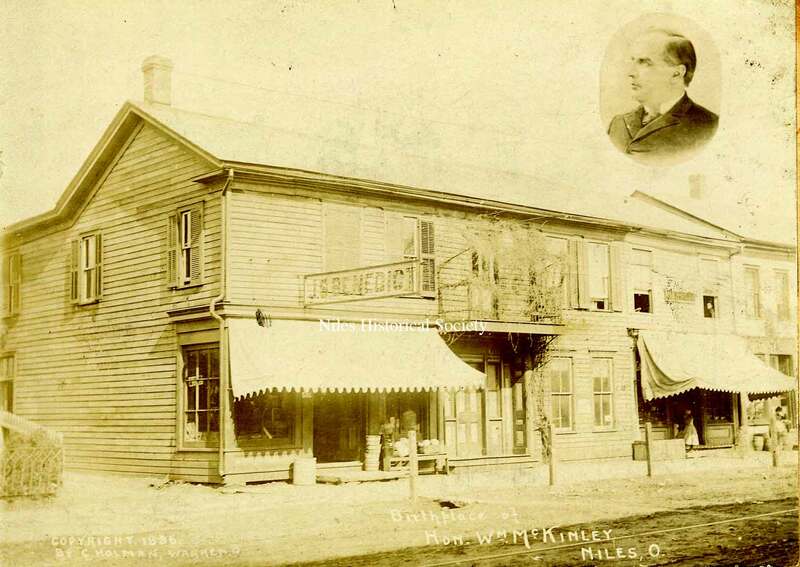 On opening day, the Mineral Ridge – Niles Electric Railway Company carried 4,000 people to and from the park. The fare was one nickel with free admission to the amusement park. 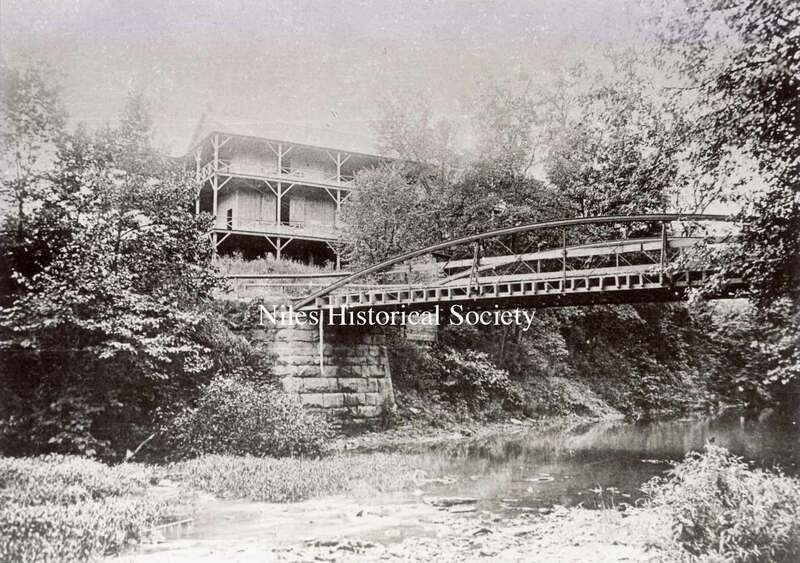 The manager of the amusement park advertised that the facilities included a large dance pavilion, which had a rambling veranda and a walking bridge across Meander Creek. This structure, with a dance floor 80 feet by 50 feet, had been built at a cost of $2,000. Other attractions included baseball diamonds, lawn tennis, swings, slides, and rowboats. 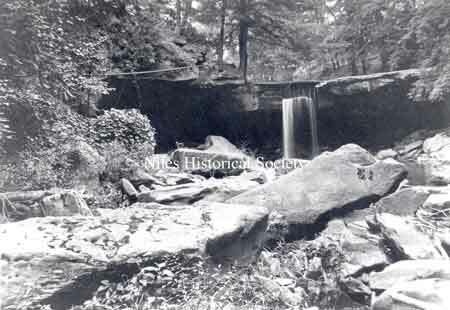 There was also a small steamer, “the Mayflower”, which would carry 75 passengers as it slowly went up and down Meander Creek. An announcement was made that the popular Leffingwell Orchestra would be playing at the dances. At that time, five railroads connected with the streetcar line that ran directly to Riverside Park and the Niles-New Lisbon Railroad stopped at the gate of the park. 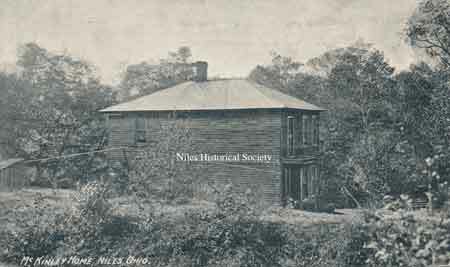 A man by the name of E. L. Boynton of Niles was secretary of the park. 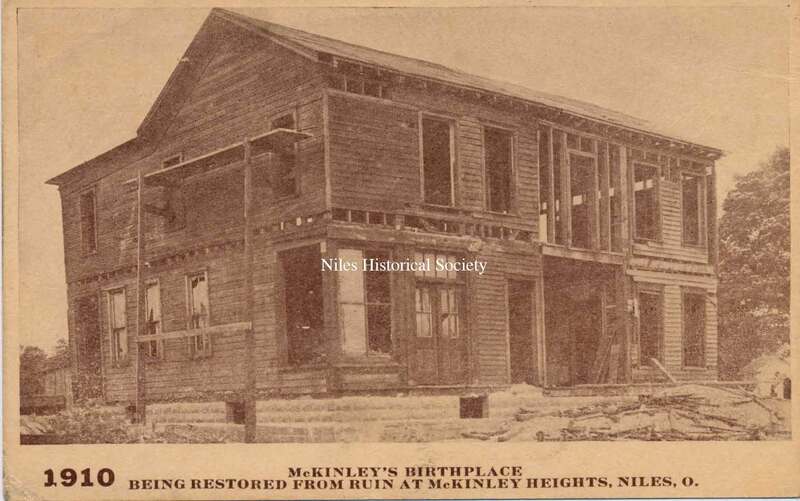 In 1890 the land upon which McKinley’s house stood on Main Street, was needed as a site for the City National Bank (later McKinley bank) It was not known who undertook and financed the project, but McKinley’s house was cut in two and the part in which McKinley had been born was moved to Riverside Park, some time after 1896, possibly as a museum attraction. The second half of the house was moved to Franklin alley and used as a shop where the Harris rotary offset presses were made. 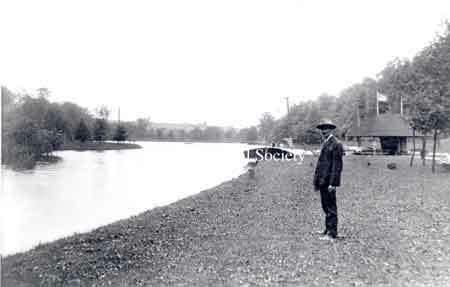 By 1901 the Riverside Park proved to be unprofitable and the owners, William Allison, Clement Souder, Frances Thomas, E. A. Hartzell, Maggie Hartzell, S. S. Holeton, and Selina Holeton, sold the property to Buckeye Leather Company for $1,700. With the demise of the amusement park, the McKinley house was occupied by tenants on the Riverside Park site until 1908. 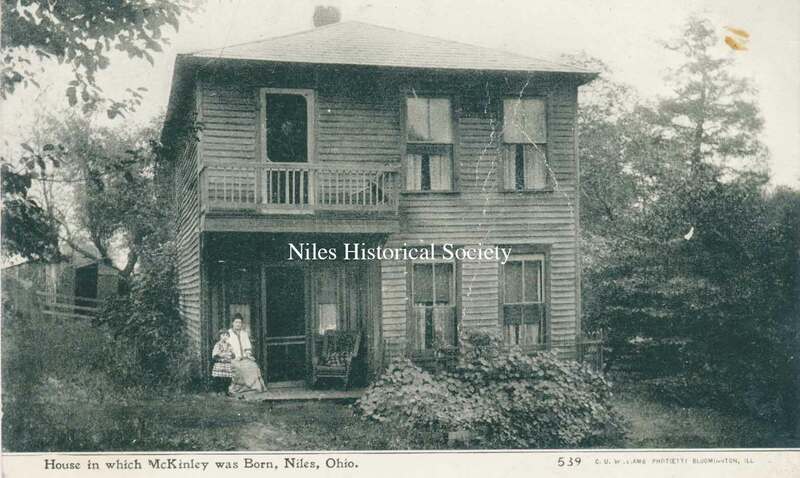 In 1909 Mrs. Joseph Wess, the former Lulu Mackey, the first female member of the Trumbull County bar, decided to buy the house and restore it as nearly as possible. Miss Mackey had it moved by Frank Kramer to her property at McKinley Heights. 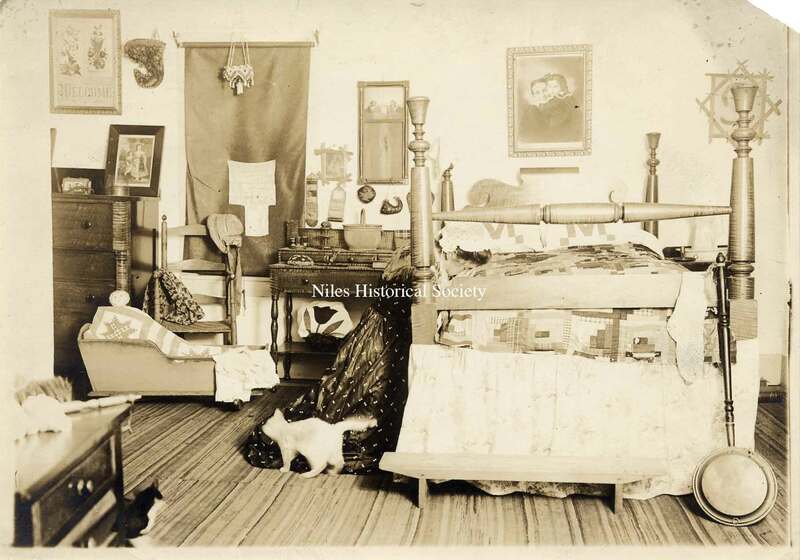 She purchased the other section and had it moved as well, then proceeded to create a privately-owned museum which she operated until her death in 1934. The museum was located on the Tibbetts property where the McKinley Heights Plaza is today at the intersection of Routes 422 and 169( Route 169 is still referred to as Tibbetts-Wick Road). 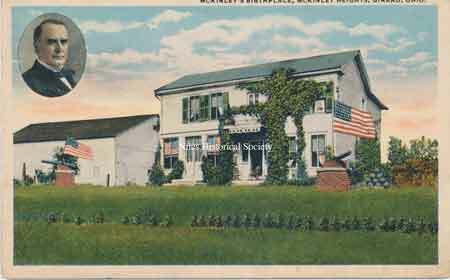 After the new National McKinley Memorial opened in 1917, people still visited this museum to see some of the original McKinley furniture and artifacts collected by Lulu Mackey. 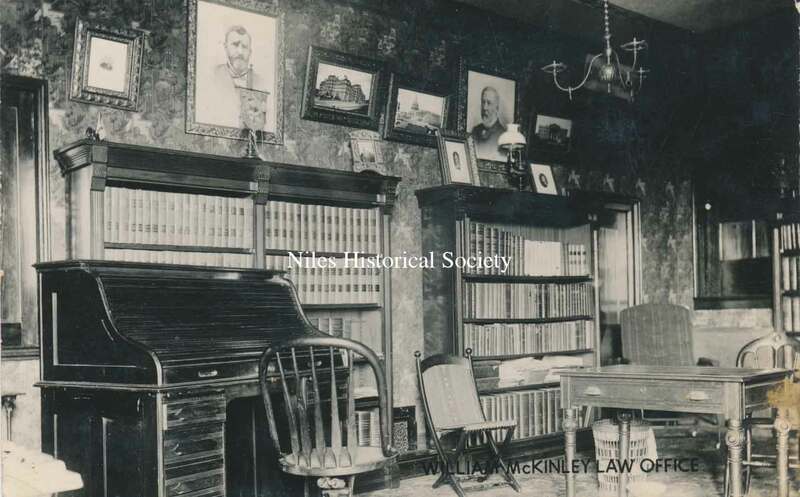 Interior views of a bedroom and a law office situated in the McKinley Museum on the Tibbetts property in McKinley Heights. 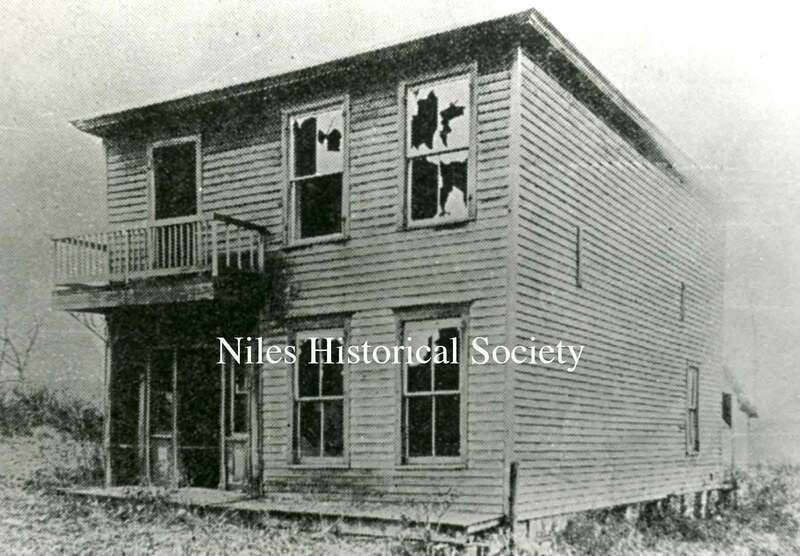 After falling into disrepair, vandals burned the structure and it was destroyed in the late 1930s. 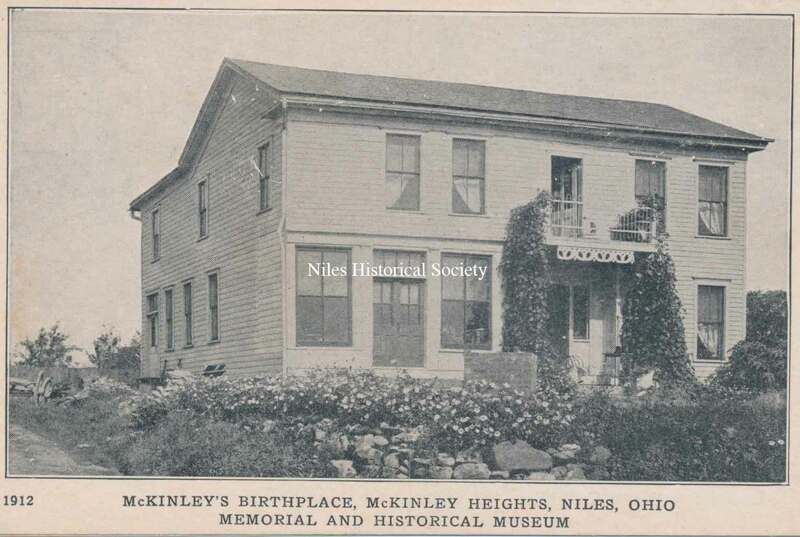 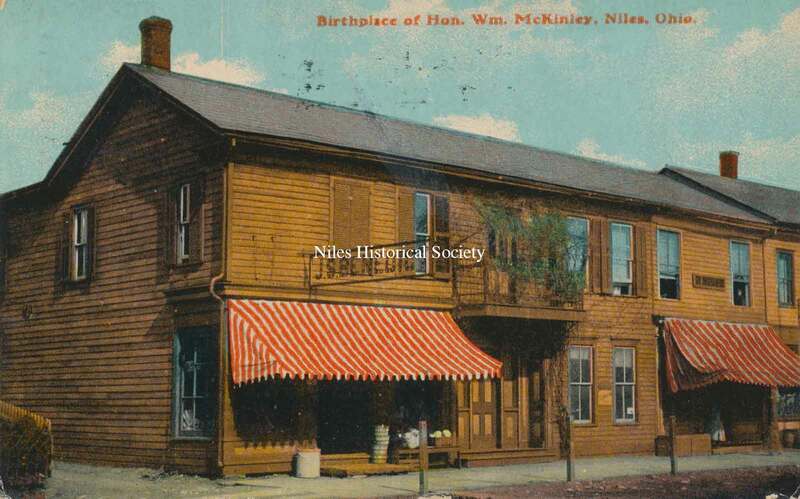 In 2010 a new replica of the McKinley birthplace was constructed on the original site on South Main Street in Downtown Niles, Ohio. 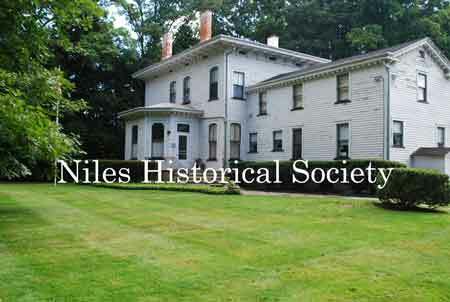 The building functions as a museum and research center.